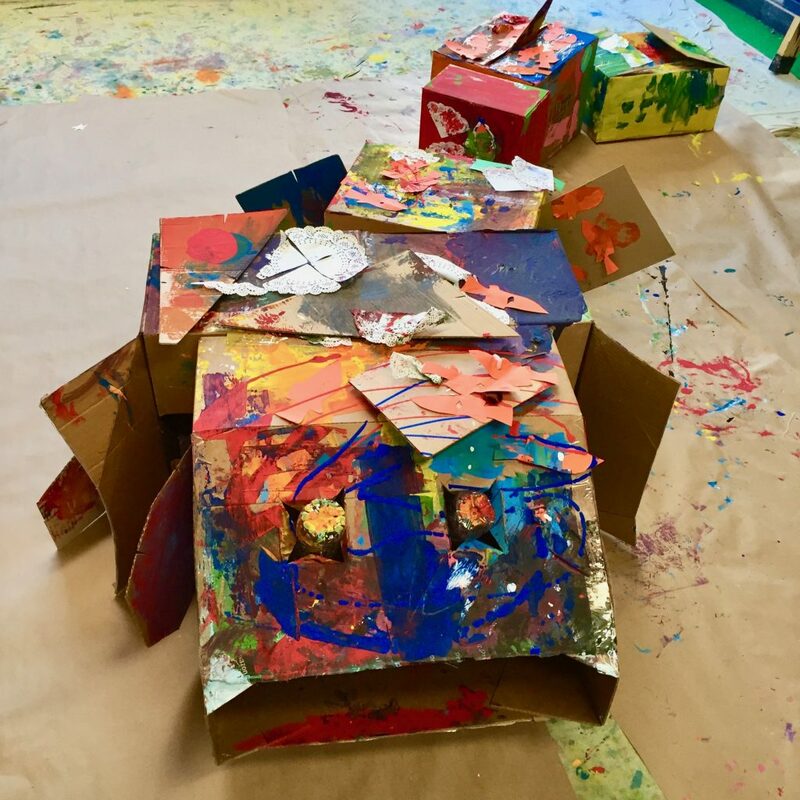 This week in Messy Mixed Media, all the classes are working together to build a giant cardboard fish and embellish it with recycled materials. 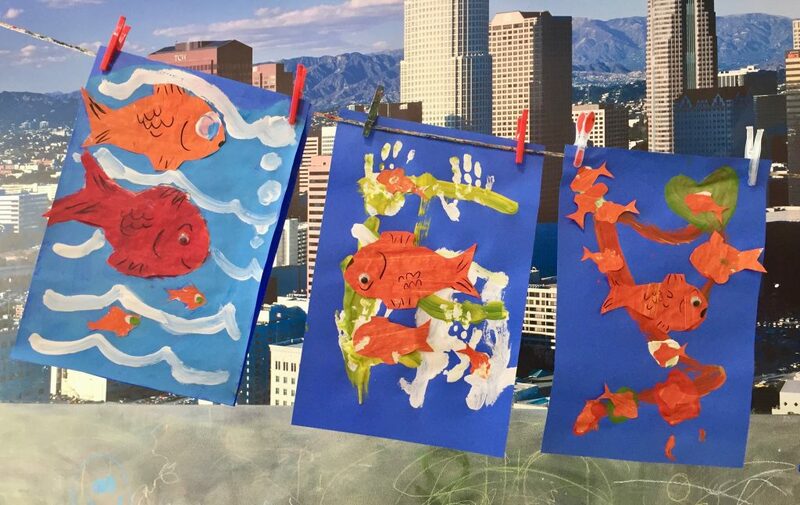 We’ll also be reading Swimmy by Leo Lionni, and exploring techniques used in Lionni’s illustrations. You can stream a rotating list of favorite PLAY music recordings SoundCloud. 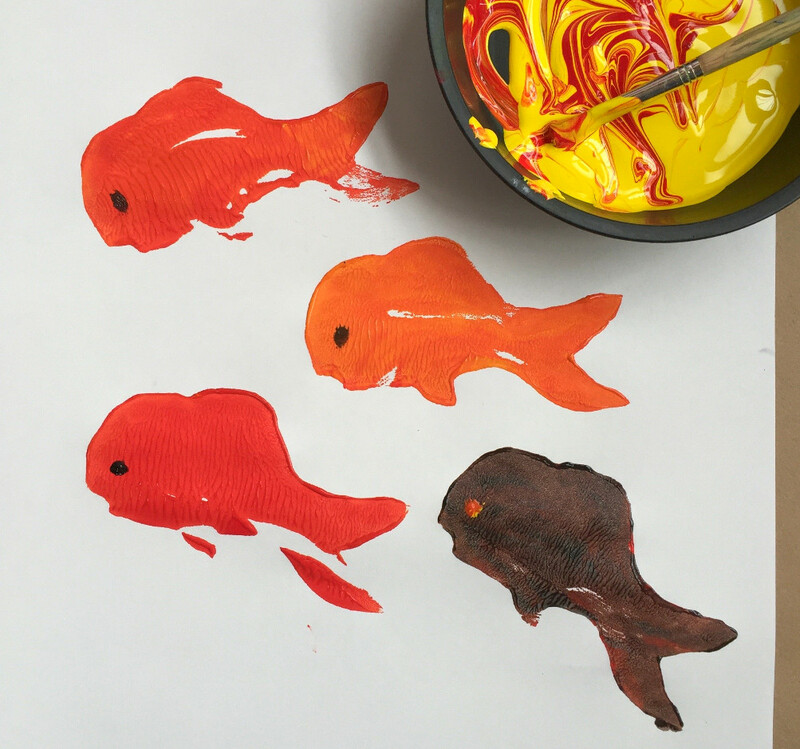 Drop-in painting is a great time to explore color mixing. 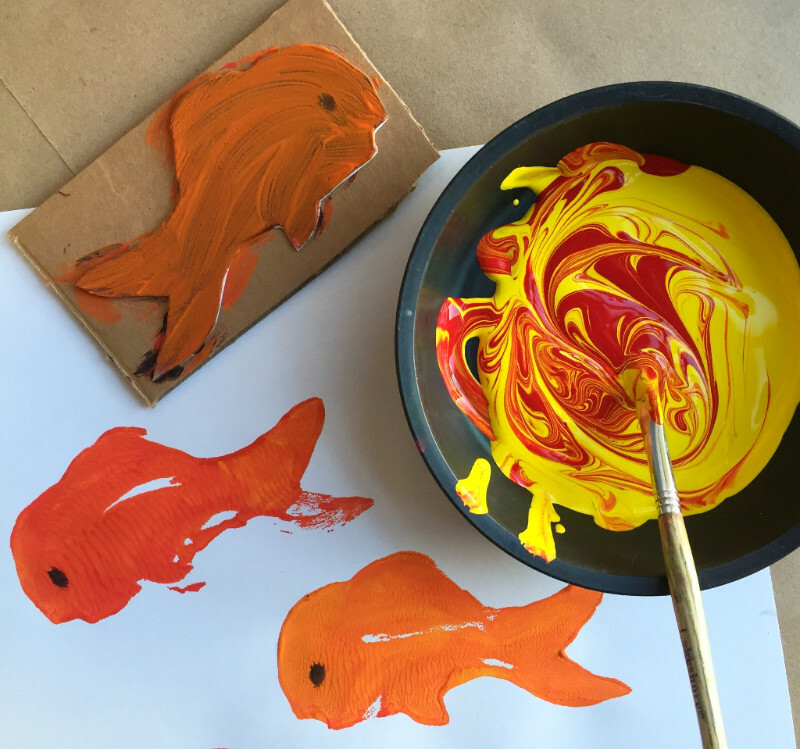 This week we’ll be discovering orange, and adding some goldfish stamps to the mix. 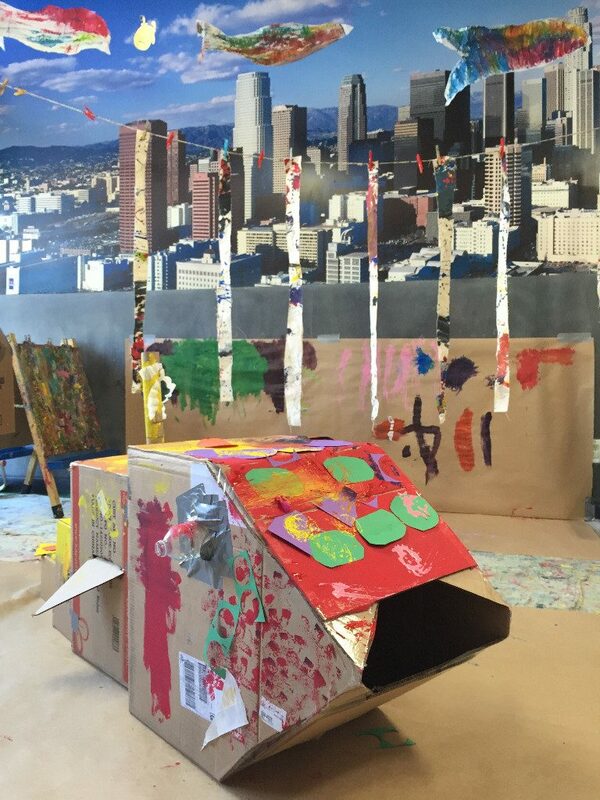 Toddlers to five; drop-in. Complete info is here. This Thursday, Jasmine will be reading Helen Palmer’s and P.D. 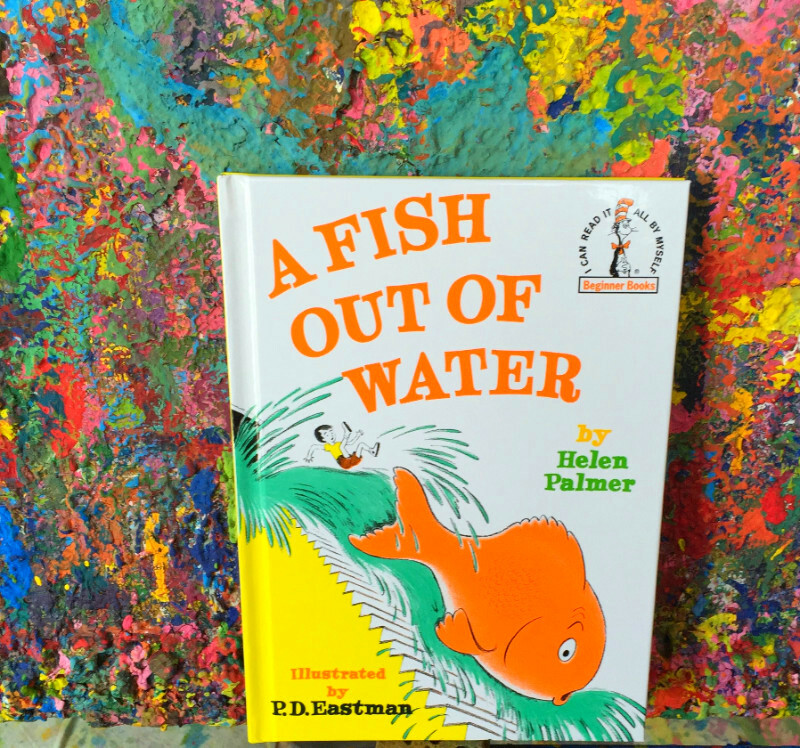 Eastman’s classic tale of a boy who fed a fish too much, followed by art time inspired by the book. Arrive by 10am to catch the story reading. 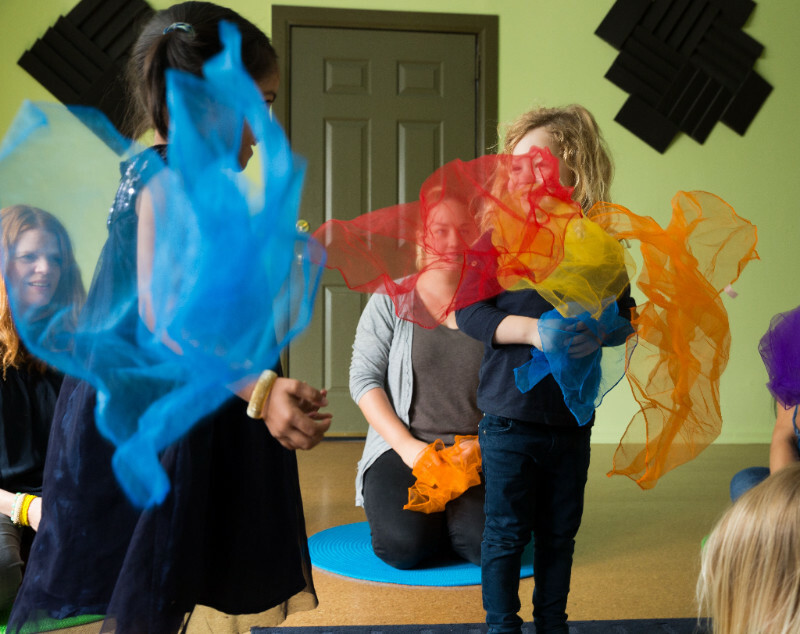 Toddlers to five; drop-in. Complete info is here.